For several years, Apple has put on a month-long concert series in London called the iTunes Festival. This year's series included performances from a number of artists, across a variety of genres, including Justin Timberlake, Katy Perry, Elton John, Ludovico Einaudi and many more. Even with the huge success of the festival in London, Apple was hesitant to put on a similar series in the United States. 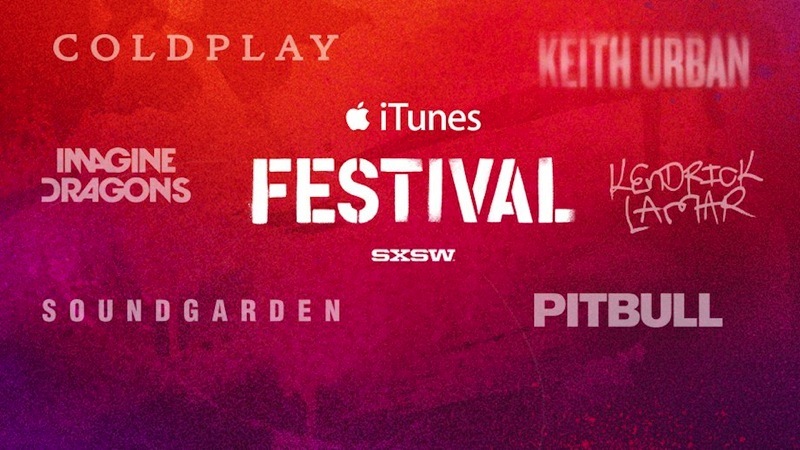 This month, however, at the SXSW conference in Austin, Texas, Apple presented an iTunes Festival with a number of different artists including Willie Nelson, Soundgarden and Coldplay. Apple journalist Jim Dalrymple sat down with Apple's iTunes chief Eddy Cue to discuss the concert and why it took so long to bring it to the States. "I wasn't sure we would ever bring it to the U.S.," Cue said. "We have something so special at the festival in London that you had the feeling that if you did it anywhere else, it just wasn't going to be quite good enough. You have to have the right place. The combination of Austin, which has a culture of music, and this venue is fantastic -- it's made for music." Cue went on to note that Apple is "not trying to pitch our products", instead the company wants to focus on "the emotion of the artists and the fans." Dalrymple says that it's not just the fans who like to enjoy the music -- after playing its opening performance, the band Imagine Dragons went offstage and then sat in the balcony to watch Coldplay, an atypical thing for a major musical act. Apple doesn't choose huge stadiums for its musical events, though it could probably sell out. Instead, Apple chooses small venues like the 2750-seat Moody Theater in Austin that it used at SXSW. It also gives away tickets for free, allowing all fans an equal opportunity to see their favorite acts, regardless of their ability to pay for tickets. He also mentions the production behind the iTunes Festival, saying that the sound quality is the best he's ever heard at a live event. With concerts being streamed live around the world on iPhones, iPads and the Apple TV, quality is important. Cue says that Apple takes a lot of pride in the iTunes Festival because the company has "such an admiration for what the artists do." Apple updated both the iTunes Festival iOS app and the companion Apple TV channel ahead of this week's iTunes Festival. On-demand streams of the Austin concerts will be available for a limited time, while concerts will also stream live through Saturday. Tonight, Isaiah Rashad, ScHoolboy Q and Kendrick Lamar will appear, with Capital Cities, Band of Skulls and Soundgarden on stage on Thursday. Friday will see G.R.L, Zedd and Pitbull, with Mickey Guyton, Willie Nelson and Keith Urban wrapping up the festival on Saturday. The full lineup is also available on the iTunes Festival website. Apple arranges a week of concerts free to SXSW attendees and streams the whole thing to iDevices for free and still people complain. You couldn't pay me to watch those "artists". Audio quality may be awesome at live event, not so much from iPhone's speakers. If I were in Austin, I would like to see Coldplay in person. 'It's All About the Artists and the Music'... Apple is "not trying to pitch our products"
Nothing lamer than a cut-throat business trying to appear as a philanthropist. So, Pitbull, artist? music?... Ok! If you like "singer songwriters" rap "artists" and .....the only band ... Coldplay (jeez ... can it get ANY more bland). You'll just love this ...."Festival" of ....."Music".... It's getting tougher Apple ... It's getting tougher ... But if the "audience" think this is the epitome of what musicianship is .... Then lerrem lap it up ...good on ya Tim! So it's all about the artist and the music? Why do they then invite a traitor and enemy of the United States to the event? I'm calling BS on this all. Yes, I was also one of those who first believed that Snowden was having good intentions and was bringing important issues to the public. He has since defected and given classified information (that has nothing to do with oversight concerns at the services which are legitimate) to our enemies. That much should be clear by now. So I really don't understand why Apple is still involved with this silly little festival. That makes me want to stop buying Apple product. And I don't like any of the artists anyway so that's an east one. Coldplay - gives me narcolepsy. You do know that SXSW and the iTunes Festival are in the same city at the same time (no coincidence), but otherwise completely separate events?